✔️BENEFITS FOR VISION. Lutein and Zeaxanthin work in synergy together in the body, without each other their effect is greatly reduced. Together they work as a potent free radical scavenger and contribute to the body’s spectrum of antioxidant defences. In the body, Lutein and Zeaxanthin are two of the major carotenoids found in human blood, and are highly concentrated in the retina of the human eyes, brain, skin, breast and cervical tissues. ✔️PREMIUM PRODUCT. 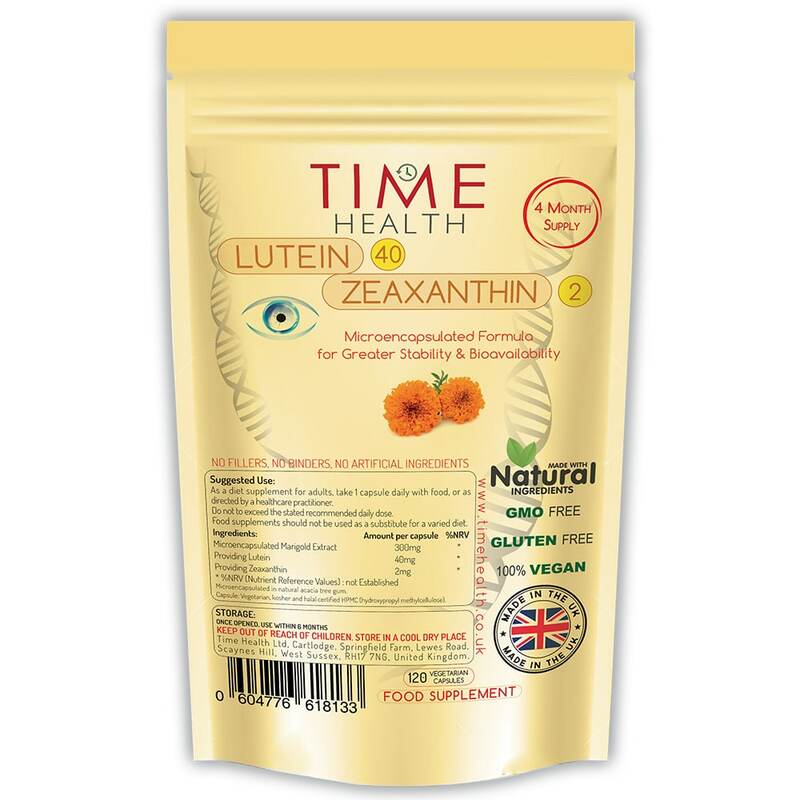 Time Health 100% Natural 40mg Lutein with 2mg Zeaxanthin is extracted from marigold petals a highly bioavailable, natural source of these two important carotenoid nutrients. Micro-encapsulated in natural acacia tree gum for greater stability & bio-availability. ✔️100% VEGAN WITH NO FILLERS, BINDERS OR ADDITIVES. 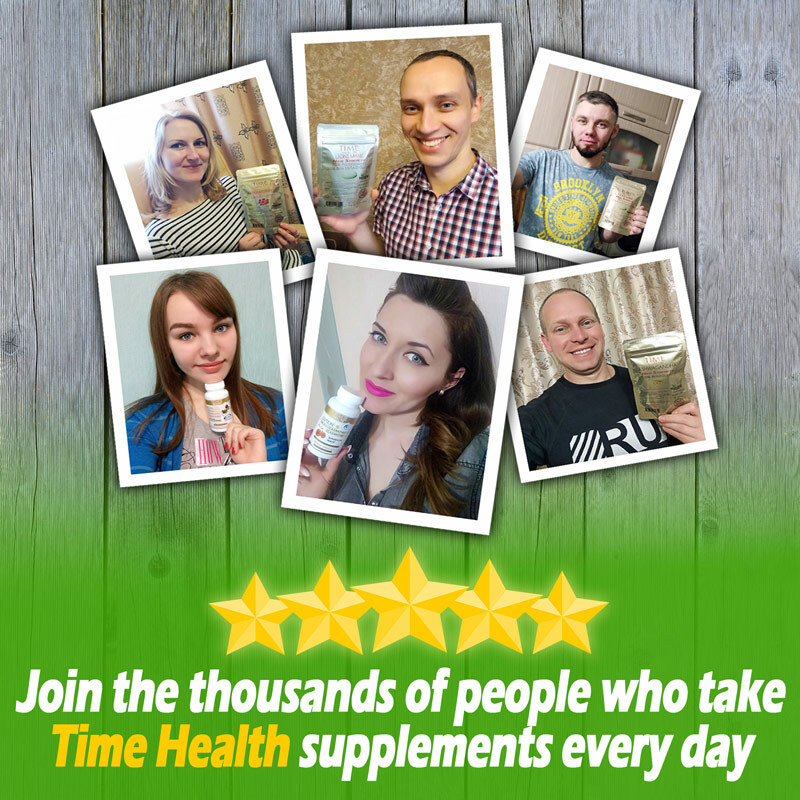 At Time Health we believe in clean nutrition which is why you won’t find any nasty stuff in our products including any binders, fillers or additives, unlike some of our competitors. ✔️HIGH QUALITY & VALUE. Manufactured in the UK to GMP standard with only the finest quality raw materials. Due to our low operating costs, we are able to offer our customers great prices. 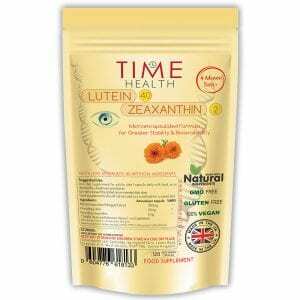 providing 40mg Lutein 2mg zeaxanthin. Microencapsulatd in natural acacia tree gum. 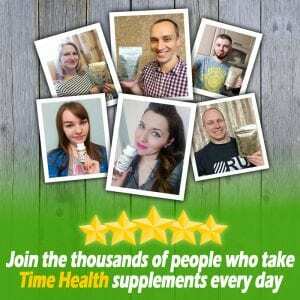 As a food supplement for adults, take 1 capsule daily with food, or as directed by a healthcare practitioner. Do not exceed the stated recommended daily dose. Do eye supplements really work ? Michael Mosley from the BBC trust me I’m a doctor took supplements containing these same nutrients in this exact dose every day for 12 weeks. He had his blood levels of the chemicals, the amount of macular pigments in his eyes, and his eyesight thoroughly tested before and after taking the supplements. Overall, Michael showed an improvement in many aspects of his vision – but especially his perception of yellow/blue colours and his night vision), and increase in his macular pigment density and an increase in these compounds in his blood. I am optimistic that this supplement is improving my eyesight but as I have been taking it for only a short time, feel it is too soon to give a definitive review. However, my experience of dealing with your company has been very good and I would buy from you again. I am receiving treatment for Macular degeneration, certainly think That the Lutein has helped, certainly with my eye colour receptors. And the comfort in general.